The price of lithium carbonate used in EV batteries has more than doubled over the past two years. 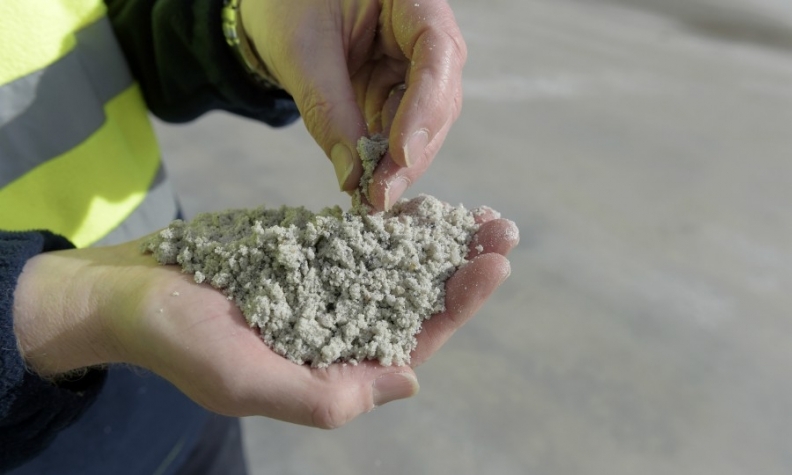 LONDON/MOSCOW -- Russia's state-owned nuclear corporation is joining the lithium rush as it seeks to profit from the boom in electric vehicles whose batteries use the metal. After a collapse in the price of uranium, Rosatom plans to start mining and trading the metal as it seeks to profit from the rapid rise of EVs. "The evolution of the car business is going much faster than predicted," Kirill Komarov, the company's first deputy head, said in an interview. "We plan to accumulate the whole integrated line of everything starting from lithium and up to final batteries or even some cooperation with car producers." Rosatom is the latest company to join a global scramble for lithium projects to supply growing demand for batteries used in electric cars. Prices for lithium carbonate have more than doubled over the past two years to about $14,000 a metric ton, according to a UBS Group report last week. By comparison, uranium prices have dropped about 40 percent since the end of 2014. Rosatom plans to get 30 percent of its revenue from businesses outside nuclear energy by 2030, Komarov said. The company's strong balance sheet, with a ratio of net debt to earnings before interest, taxes, depreciation and amortization of less than one, means it can invest in new products, he said. While Rosatom has a unit that produces lithium compounds, it doesn't yet mine the commodity. A subsidiary, Atomredmetzoloto JSC, is in talks to revive a Soviet-era lithium mine in East Siberia, which was halted in the 1990s, Rosatom's corporate newspaper reported earlier this year. The nuclear giant is also considering investing in lithium-mining projects in South America, its press service said. Rosatom's Toronto-headquartered unit, Uranium One, said last week it had opened a trading company in Zug, Switzerland. The new business will be based on Uranium One's existing trading operations, while expanding to start trading lithium and possibly other metals such as copper and lead, Komarov said. "Our ambitions are to be more than just a uranium trader, we want to work with different metals and different products," he said. "Lithium is definitely in the line." The launch of the standalone trading unit is a response to the shifting dynamics of Rosatom's core uranium market, where the company is the world's fourth-largest miner. Amid a slump in prices since the 2011 Fukushima disaster in Japan, a growing proportion of the trade in uranium is shifting to spot contracts rather than long-term deals, Komarov said. The current low uranium prices are unsustainable, he said. The benchmark spot uranium price of $20.70 a pound last week is less than a third of its level before Fukushima, according to data from Ux Consulting. "It's not feasible to continue mining in this situation with these market prices," Komarov said. "It means that in a normal market situation the price should start to grow. When we can expect this growth, nobody can predict."